J. Lanner. Sheperds dances in the Alps (Waltzes, op. 205) . 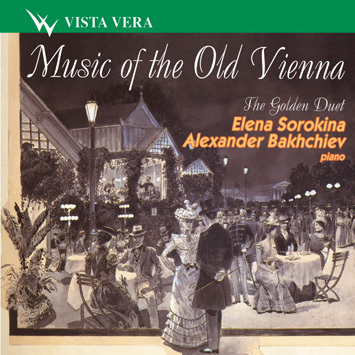 Echo of Vienna is the title of a concert waltz by Emil von Sauer, an Austrian composer and virtuoso who was a pupil of Nickolai Rubinstein and Franz Liszt, and this CD brings to us echo of Vienna of the 19th century. Vienna was the place of birth and the capital of waltz that very quickly conquered the whole of Europe. Joseph Lanner and Johann Strauss father, - «Linen Head» and «Moor» as they called them in Vienna - were the composers who turned waltz from just music for dancing to work of art. Lanner was among the first to confine the loose sequence of waltz melodies to five parts with a more or less developed introduction and a brilliant coda with prettiest melodies that just sounded coming back again. Thus waltz acquired its classical form. Waltzes by Lanner and Johann Strauss father, sparkling and easy and exquisite, represent the image of dancing Vienna in all its splendour. Besides waltzes, much popular in Vienna were polkas and quadrilles. On this disc there are some compositions by sons of Johann Strauss Sr: Edward Strauss and Johann Strauss son, perhaps most celebrated of the whole dynasty. The Fast Polka by Edward Strauss is also called «Bahn Free!» (Fast Track) and dedicated to the Committee for Arranging Railway Balls in Northern Austria. This probably explains some graphic details of the music, like a piercing whistle of steam locomotive and steady speeding-up of tempo… A superb quadrille by Johann Strauss-son was written on a theme of the operetta «Zehn Madchen und kein Mann» by another famous Viennese, Franz von Suppe.